The LED market, in general, lacks standardized and quality lighting products. The company sought to position OrangePlus LED as a first-mover, a pioneer in the premium LED market. Some of the major challenges the company faced were to look at their creatives from a fresh perspective and have a modern approach in terms of design and content required. We employed the use of creative marketing strategies such as outdoor signages and descriptive brochures. Moreover, we applied our design thinking solutions to their leaflets and product packaging, to depict the quality and sophistication of OrangePlus LEDs. We came up with a marketing strategy to rebrand OrangePlus LED and change the perception of customers in this niche market. 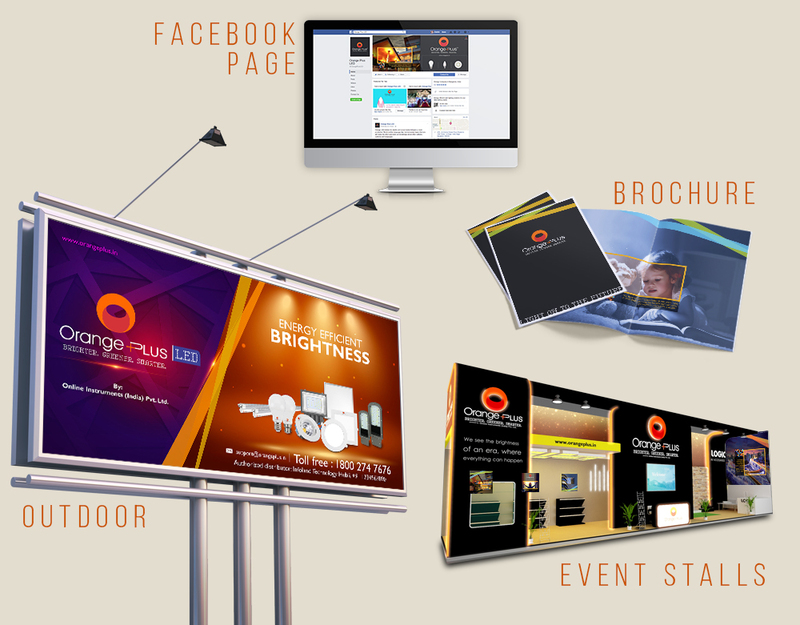 We also leveraged our digital marketing skills to ensure OrangePlus LED was publicized effectively and efficiently to targeted audiences through social media channels. Through the proper planning and execution of our strategic 360-degree marketing approach covering both digital and offline, we enabled OrangePlus LED to successfully achieve its desired image as a premium LED brand. Since we partnered with them, OrangePlus LED has witnessed a noticeable increase in the number of views and clicks across all social media platforms, leading to an increase in visibility and overall brand recall.